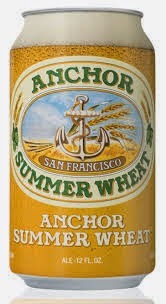 Anchor has recently released their popular Summer Beer now called Summer Wheat in cans and draught only this year. They have decided to embrace the canned beer movement and not produce Summer bottles. On top of the Summer now in cans they have released Anchor IPA and Liberty Ale also in high graphic cans. Look for these cans across Long Island.